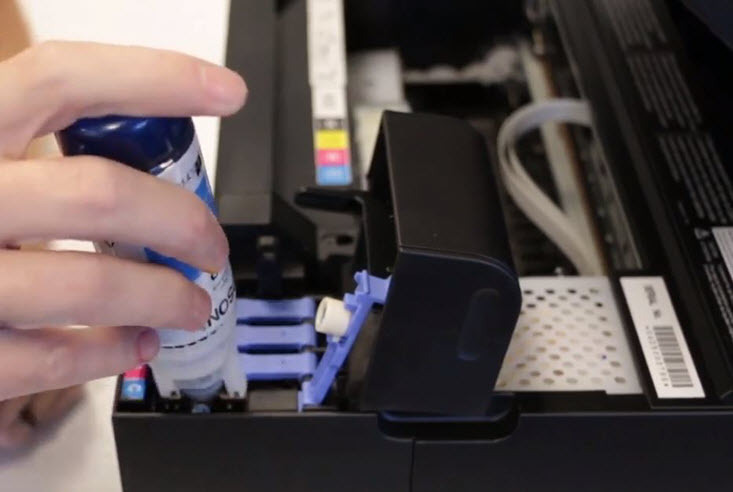 Find simple replacement instructions for your Brother toner cartridge and drum unit with this complete guide. 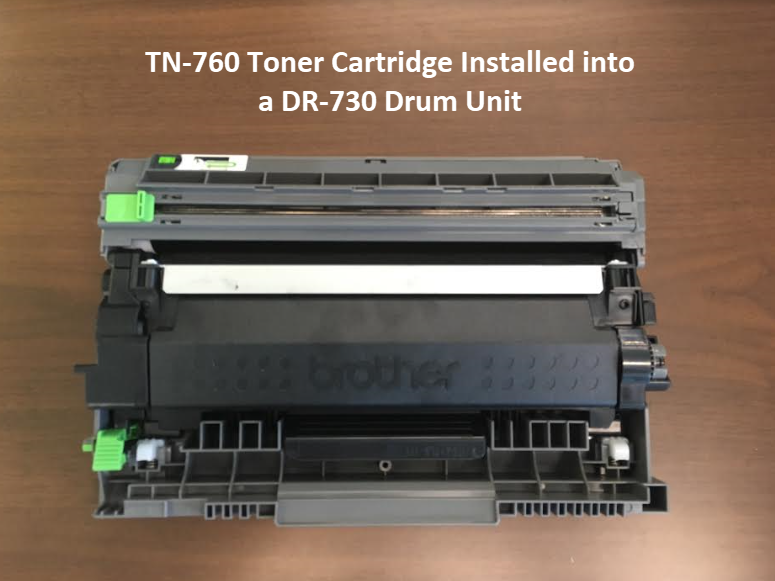 A quick introduction to Brother toner cartridges and drum units! Toner can be offered in a standard yield, high yield and extra high yield cartridge size. The high yield and extra high yield cartridges generally cost a bit more but print more pages for a better over all value. Not all Brother printers offer an extra high yield option so be sure to consult your printer manual to verify what’s acceptable for your machine. The drum unit is sold in just one size and is compatible with any of the previously mentioned cartridge sizes. Both the toner and drum eventually need to be replaced, but the toner cartridge is always the first to go. 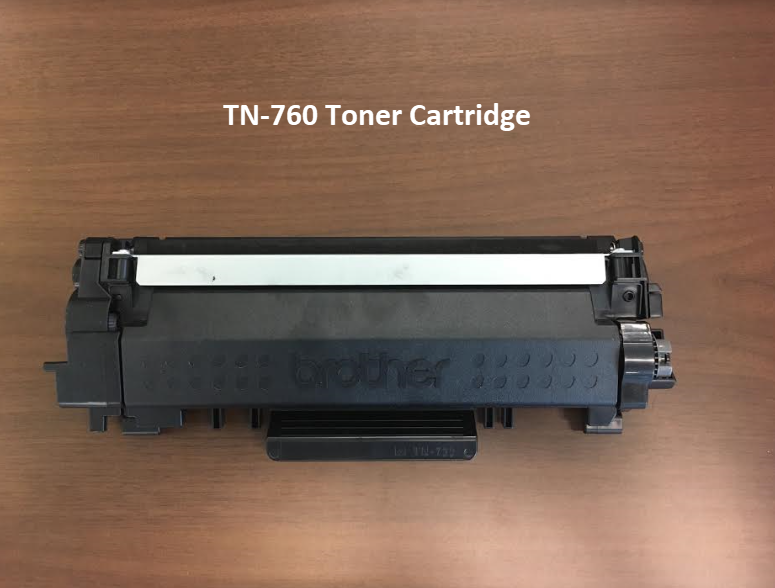 When do I replace a toner cartridge? A toner cartridge requires replacement after it reaches the quoted page yield, or the approximate number of pages you can print with a specific cartridge (more about page yield here). You can find the cartridge page yield on the side of the cartridge box or on the specifications page of the printer manufacturer’s website. Your printer will let you know it is time to replace the toner with a “toner low” or “replace toner” message on the printer display. When do I replace a drum unit? The drum unit is designed to last longer and generally needs to be replaced after the use of 3-4 toners. Brother keeps track of the drum life by counting the number of rotations of the drum. When a drum reaches the predetermined rotation limit to the related page yield, a “drum life end soon” message will appear on your printer’s display. 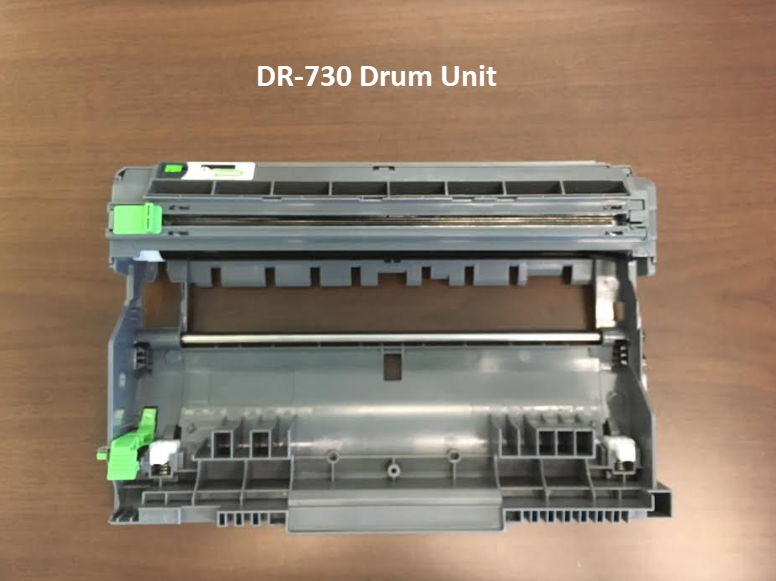 If you are installing a new drum unit for the first time, you will need to reset the drum counter to restart the rotation count on your printer. Now that you are familiar with the basics, let’s begin the installation process! 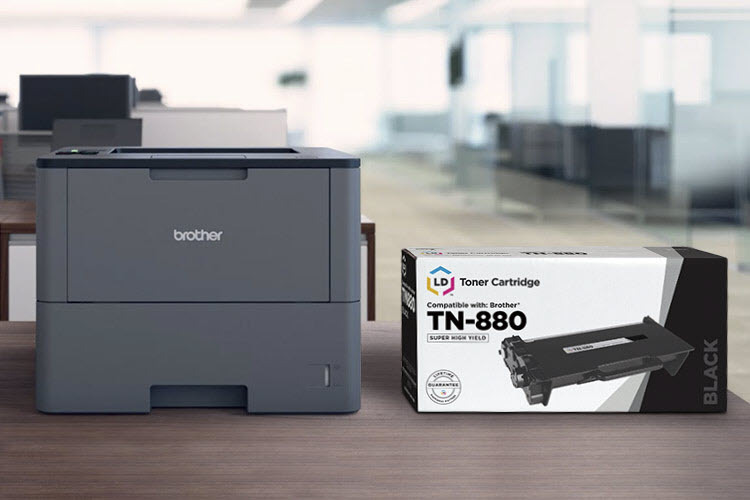 Here we will show you how to install the toner cartridge, the drum unit and reset the drum counter for a number of new Brother laser printers. We’ve broken out the installation instructions by printer list and their compatible consumables. 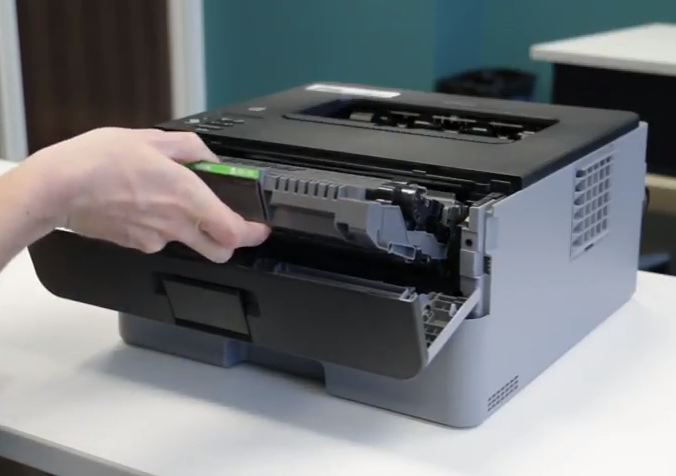 Before installation, you’ll need to prep your new cartridge or drum unit for the printer. Over a trash can, pull the seal tape out of the side of the cartridge. The tape should come out in one long strip and can be discarded after removal. You are all set for installation! 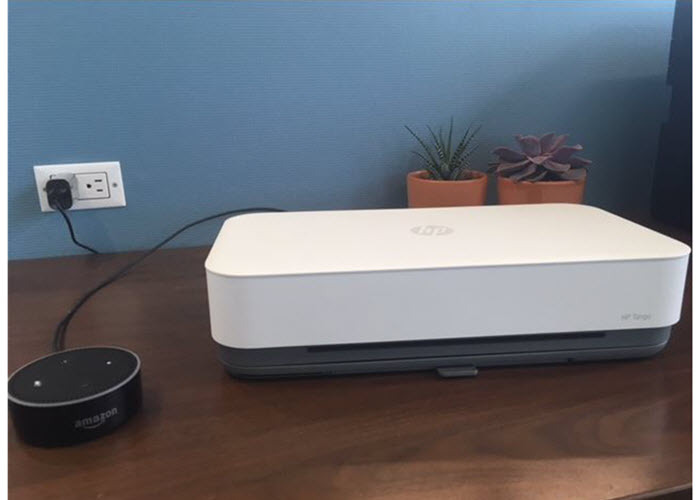 Unbox the new drum unit. Slide the toner into the new drum assembly so it clicks into place. Before resetting the drum, make sure the machine is turned on and the front cover is closed. On the printer’s display, press “OK” and the up arrow at the same time. Then, press “OK”to select [Drum]. Press the down arrow to reset the drum counter. Every time you replace the drum, you will need to reset the drum counter. Open the front cover of the machine. Press the up arrow and select [Reset] to reset the counter. Turn the green lock lever (1) counterclockwise until it locks in the release position. Holding the green handles of the drum unit, lift the front of the drum unit and remove it from the machine. Once it is unlocked, pull the toner up and out to remove it from the drum unit. Unbox the new drum unit and remove the orange protective cover. Then, select [Machine Info.] and press OK. Select [Parts Life] and press OK. Select [Drum] and press OK.
Then, press and hold “OK”for five seconds. Press the up arrowto select [Reset].